Manual Payroll Check for Hourly Payroll. For both hourly payroll and general disbursements. 2 lines for extra deduction captions. Available in Blue Safty Paper only. 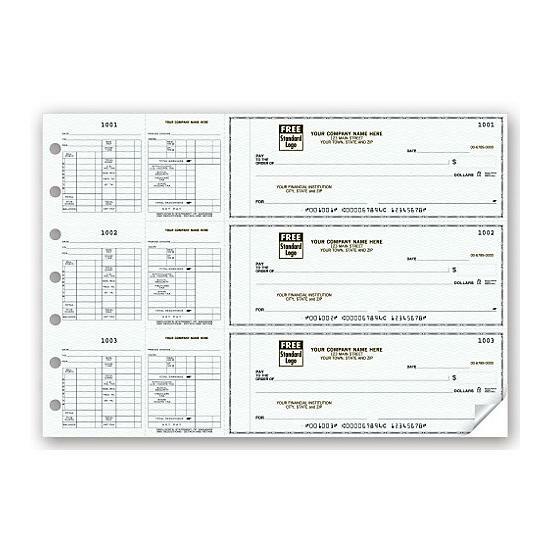 Manual Payroll Checks for hourly payroll. 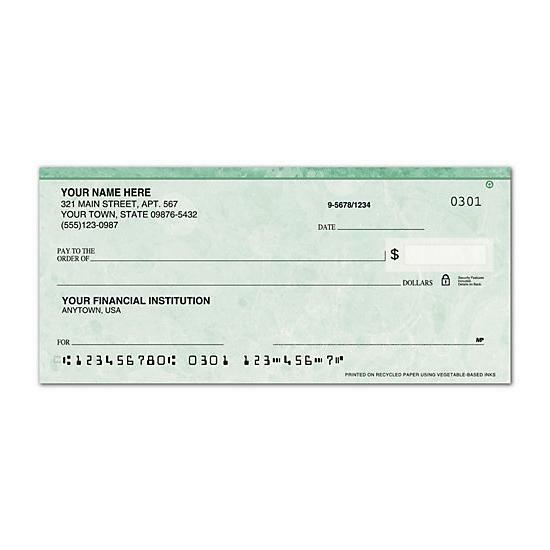 Handy deskbook checks include 3 lines for extra deduction captions.These popular 3-on-a-page business checks are ideal for hourly payroll & general disbursements! Free personalization includes your business imprint plus a choice of standard typeface & standard business logo. Compatible binder (54255N) sold separately. Available in Blue Safety Paper only. End panel provides space for a second signature. One stub for your records, one for the employee. 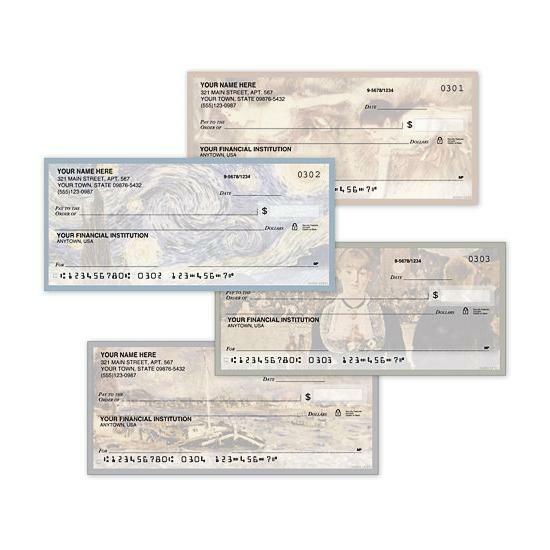 Voucher keeps track of payroll details for hourly employees or general disbursements. Featuring Employee's statement of earnings and deductions to detach and retain. 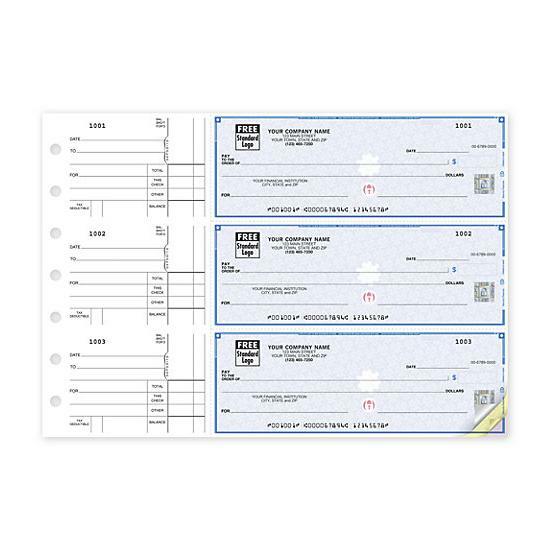 Hole Punch to hold checks in a folder or binder with rings. Retain Stubs in the binder.